If you believe that rugby is played in heaven then New Zealand is currently Paradise: a football fanzone in Godzone. But for the last twenty minutes of the Rugby World Cup Final it was potentially hell. New Zealanders sat at Eden Park, stood in fanzones, swayed in pubs, or stayed at home glued to the telly with family and friends, collectively too scared to acknowledge the inner voice – the fear – expressed perhaps in schoolyard French: “non, non, non”; “sacre bleu”; and potentially, “déjà vu”. We’d already experienced the wrath of the gods. The crime: hubris. The form: looking good in your undies and setting unfair standards for the rest of us mortals by being globally exhibited on billboards and full page adverts in the glossies. The penalty: a wrench in the over exposed groin. And then, at a whim, humorous Baubos and satiric Momus intervene with a twist to the heavenly script: take the dog of the All Blacks’ squad – in this case, known as Beaver – have the selectors tell him he’d be better off whitebaiting then require them to, ahem, recall him to save the day. Ah! As one of the sponsors proposes; Priceless! Beyond hubris, humour, and satire there may have been a further match-specific portent of coming trouble when the French team – drawing on Gallic guile – applied lessons learned from the Romans and applied the acies, the formation changing tactics of the manipular legion, to face the haka. This was used as a symbolic foil to the rituals of the tribes of the South Pacific. Maori would recognise it as the ‘tihangai’ formation, the apex of the kokiri – a body of warriors about to attack. It makes one realise that Esperanto isn’t the only international language. E hika, these French guys understood symbolism – and despite the IRB’s opinion to the contrary, it was an entirely appropriate action. Crikey, slap ‘em for the eye gouging but praise ‘em for the theatre. Anyway Kiwis endured eighty minutes of cruel gruel, neither tasty nor pretty for sure, but competitive to the ‘n’th degree. Trepidation, then sweet relief from just one point – it could have been a hundred – leading to the same result, but without the excitement derived from the uncertainty of competitive sport. Uncertainty until the final whistle, that’s the name of the game! So the RWC arrived in cities and towns everywhere across our fair green land two months or so ago. Even in remote rural communities there were flags a-flying; the ubiquitous ‘Silver Fern’ on black, and – at least up until the quarter-finals when apart from the French the losing teams went home – the flags of the many and varied RWC participant nations. 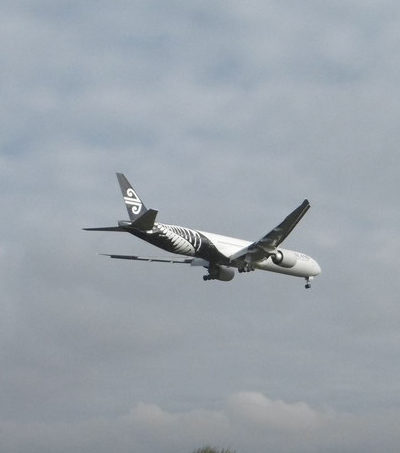 The Silver Fern on black has become a de facto national emblem, de rigueur even. In popularity the actual New Zealand flag looks to be a very distant second, partly because visually it is virtually indistinguishable from the Australian standard – aaargh! As one visiting RWC wag put it on seeing the New Zealand flag “Oh, the Union Jack at night!” New-flag-for-New Zealand-campaigner Lloyd Morrison (all strength to him and may good health return) must be chuffed! In any case you’d have to have a miserable and begrudging outlook on life not to acknowledge that we can mark up the Rugby World Cup as a win both in tournament result and success of event. Some sections of New Zealand benefitted more than others – which is a bit of a general trend anyway. Geographically Gisborne and the Wairarapa suffered comparative drops in trade generated revenue whereas Auckland went bananas. The travel and hospitality sectors did well but even within this there was an uneven spread of benefit and a good deal of market distortion generally due to the focus on fanzones and creation of event corridors. On the other hand, a sort of cheery welcoming spirit settled over the country as soon as the visitors began to arrive. At heart we are a generous and hospitable people and it was a delight to see our communities open their hearts and display a pleasingly naïve (in the innocent sense) inner goodness. Maori TV became my preferred RWC channel. Getting the Pakeha kaumatua Keith Quinn to commentate was yet another example of Maori TV’s ability to identify talent that can make the crossover between Maori and general audiences. 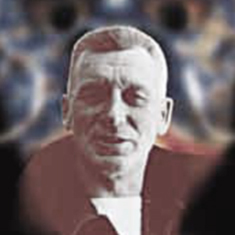 Quinn for instance is able to provide a historic context and demonstrate knowledge beyond the experience of most contemporary commentators. Having Peter Fitzsimmons help cover the Aussie games was a great idea too. I loved the pre-match banter between Fitzsimmons and Buck Shelford. 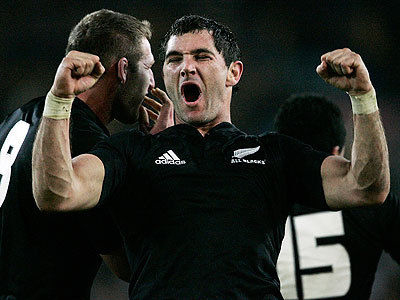 “How does the team decide who will lead the haka?” asked Fitzsimmons. “Well the Maori boys will get together and have a korero” replies Buck. “Just the Maori boys?” asks Fitzsimmons. “Just the Maori boys” says Buck. After the All Blacks’ win over the Aussies in the semis the mood stepped up from hesitant optimism into quiet expectation. At that point Mr Sheen might have said ‘we winning’. By late Sunday night we could all say, with great relief, ‘we won!’ One point or one hundred it just doesn’t matter. We won. Congrats all round! My “where were you during RWC grand-daddy?” effort was to work with our youth programme and support the Waiohiki contribution to Napier’s Rugby World Cup Festival effort in hosting our international visitors – in our case the Canadians. A year back Napier was challenged to figure out how the community might best respond to the anticipated influx of tourists for the two RWC games played at McLean Park (Canada vs France/ Canada vs Japan). 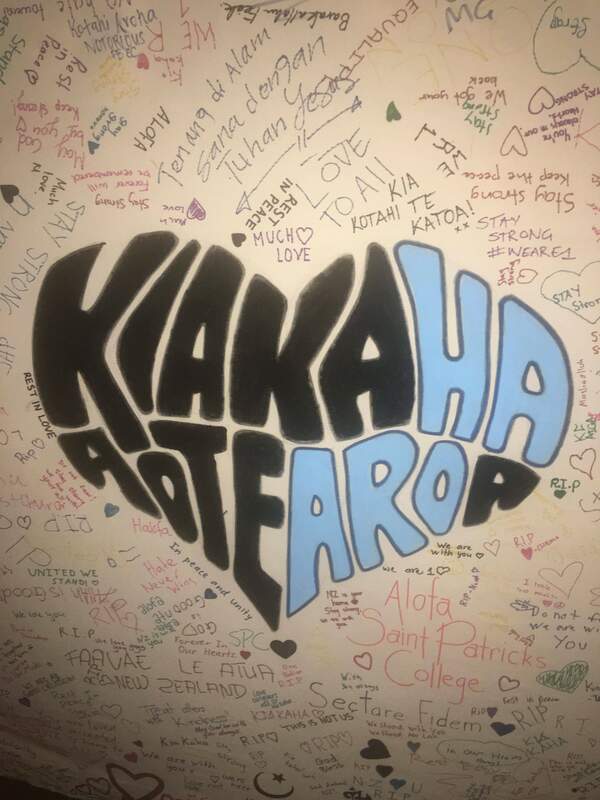 Early in the piece I’d suggested to officials that we go for a broadly inclusive strategy, getting schools involved in a campaign to learn ‘words of welcome’ in French, Japanese, Maori, (and Canadian eh!) and, generally getting the broader community on board. By broader community I really meant the otherwise unemployed or under-employed. In general terms members of ‘the community’ are working flat out at just surviving. It’s those who are unengaged that we really need to involve. I always remember Paolo Frere reminding me that the great damage of unemployment is not necessarily economic but more likely to be the personal loss of a sense of worth. So, for a big gig like this, why not go to those who are unoccupied? But ours is a conservative community, and my suggestion that we go all out to engage the unemployed as volunteers and ambassadors was too big a notion, and a decision was made to enrol shopkeepers and run the city as four zones: Kiwi; Japanese; French; and, Canadian. And this is where we came in. We were given a little shop-front in Dalton Street where we based the Waiohiki youth programme and working artists, and we had access to a notional ‘log cabin’ placed in a central spot at the corner of Hastings and Tennyson St. The cabin was decorated with Canadian bunting and a few stuffed hunting trophies were hung on the internal walls. We also had a static competition where photos by Richard Brimer featuring scenes from both New Zealand and Canada were set side by side. Participants had to correctly identify which scene was from which nation. Not automatically clear I might say. Anyway, apart from that we were more or less left to it. 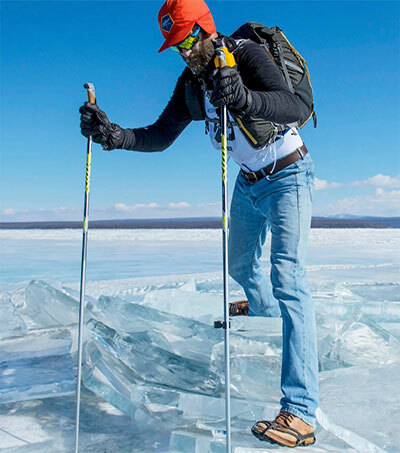 Now, to hosting the Canadians: apart from serving flapjacks and maple syrup, or dressing up like a Mountie or a lumberjack how do you give a Canadian feel to an event? We came up with the idea of driving off the presence of Adam Kleeberger and the ‘beardos’. I bought up all of the ginger-haired beards we could find in Hastings and Napier. With these not very good disguises at chin a crew of us went out to greet the Canadian team on their arrival in Napier. We had coined a shibboleth “Fear the beard” and this call carried around the terminal with a rumbling echo – like a Greek chorus to the mandatory karanga (to mix not only metaphors but mulch up cultures as well). The team nearly pissed themselves and we were lined up with team members and supporters alike to take photos galore. Back in town, each day I’d have one of the crew act as a spuiker and strut up down in front of the Canadian log cabin calling out “Fear the beard!” and “Go Canada, eh!” to passers-by. If it were a group of the French we’d go “Allez Les Rouges’!” and then enjoy the demonstrable consternation and eventual distress as the group interpreted our gross accents and rejected the proposition. On the Saturdays and Sundays prior to the game there would invariably be a Highland Pipe Band playing up and down Hastings St. Whenever they came within earshot I’d grab the big Canadian flag and march in an exaggerated fashion a couple of meters in front of them. 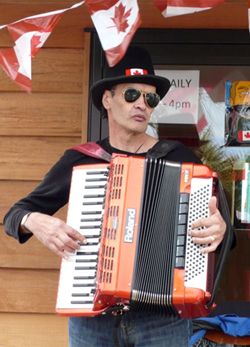 I convinced Yogi Martin the digital accordion virtuoso to come down and share his magic with locals and visitors alike. Yogi presents an engaging sight regardless of his get up, but with a maple leaf decorated high hat and sunnies he could have walked straight out of a bohemian bar in Quebec or have been a musician who has drifted from across the river in Hull. 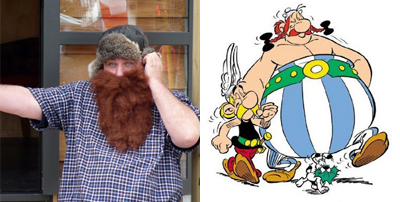 One day this big guy, a French supporter dressed as Obelix came by the cabin and, jumping off the porch, I ran towards him with my arms spread wide, as if welcoming an old friend. We must share some spontaneous DNA because he picked up on the act and did the same running towards me. We ended up hugging each other right in the middle of the main street with the same effect – although a different genre – of a flash mob haka. It was all very funny and I’m sure people thought it was pre-arranged. On the flash mob thing – a local flash mob haka had been advertised through social networks. I don’t think the Hawke’s Bay crew have quite got the idea of the intended ‘flash’ nature of these events. About 500 people turned up at the appointed time and place and stood around with their phone cameras at the ready to capture the action, and waited for it to start. Not all that flash really. Anyway we kept this general Canadian carry-on rolling for about two weeks and it captured people’s imaginations, made the Canadians feel really welcome (even though they may have thought we were mad) and surely made enough good media copy both nationally and internationally to satisfy the city’s marketing people. 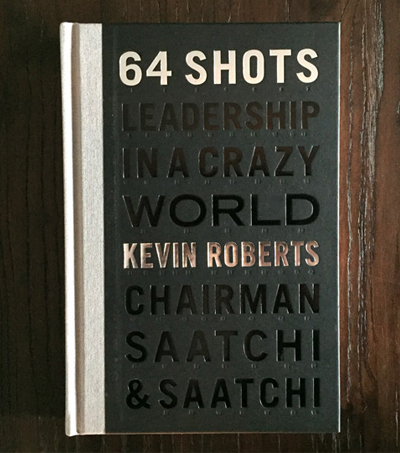 The post-RWC event review and ‘actuals’ cost-benefit analysis will be an interesting read. In the post-party sober light of day we will be forced to evaluate the relative importance of a one point playing surplus against a current multi-billion budget deficit. We seem to have sunk about half a billion into event related infrastructure. If like me, you have to argue hard with Government agencies for $30,000 or so to continue a proven-to-be-effective community programme then the RWC might all look a bit profligate. We may have enjoyed the games but the bread that traditionally accompanied these follies of the Caesars will be in short supply and unevenly distributed. Circenses nil panem. On the other hand if we accept the win and then reflect on how we might best take advantage of the investment to create optimal outcomes for all then it might prove to have been a breakthrough event. Bob Harvey has announced that the Cloud is going to stay down on the wharf and one might assume that the plastic Waka may well find a longer term berth. 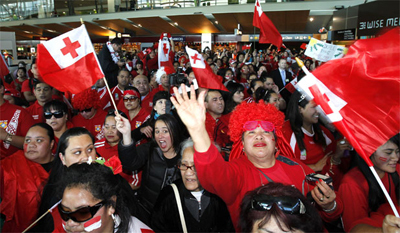 The IRB have not ruled out another NZ hosted RWC in years to come. Bob Parker is talking about hosting a future Commonwealth Games. Owen Glenn has got global hockey coming to Aotearoa. 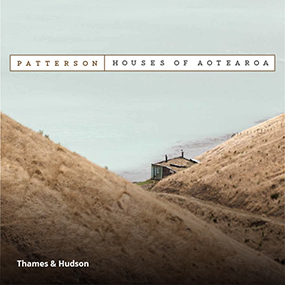 It’s a damned long way out here and in a crowded market potential international visitors need attractions beyond the passive ‘Pure NZ’ and even ‘Adventure NZ’. 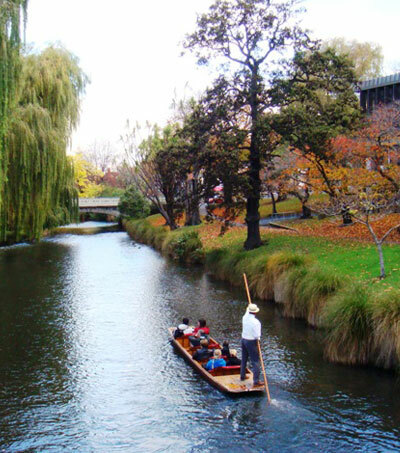 In the wake of the RWC if ‘Event NZ’ is a new extension to the offerings for visitors then kei te pai, let’s build on it. Of course mine is a provincial view and I’ve not been part of the high flying set numbers of whom may well have pulled deals that will be worth billions to the nation. But bear with me a bit. As with the Millennium Celebrations I hold a different philosophy to the ruling administration. In preparation for 2000 I argued that due to our “first off the rank” status New Zealanders ‘were’ the show, and we could just be us in our own places rather than putting our energy and money trying to organise a big bang spectacular to try and rival what was happening internationally. Similarly, in the RWC New Zealanders were positioned as being “a stadium of 4 million”. That is, we were positioned as spectators rather than as participants. What say we saw ourselves as being a cast of 4 million all part of putting on the ‘NZ Show’: in fact we could be a cast of 5 million if we engaged our ex-pats in the programme as well. Even though it wasn’t necessarily planned we more or less did it instinctively, but the Samoan and Tongan communities were exemplars in this regard. They intimated what could have been. Closer to home, the time spent in the Napier central city Canadian Quarter revealed to me that the Napier central city is dominated by ‘shopkeepers’ as opposed to ‘retailers’ who one would hope might be inclined to take a bigger picture view. Despite the biblical inscription on the arch above the city’s Veronica Bell colonnades “Without vision the people perish” the shop owners don’t share a cohesive vision for the future. To a high degree the current leadership of Napier city desire a ‘gated’ community, locked off from the relatively less affluent, browner, but full of potential neighbouring city of Hastings. 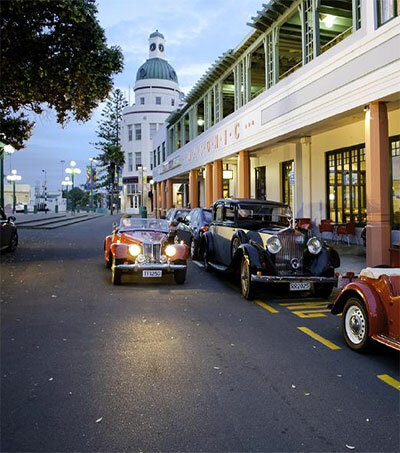 An amalgamated Hawke’s Bay is inevitable, but Napier seems to be determined to look backward, perpetually frozen in time as the wealthier, more pastel shaded art deco capital of the world. 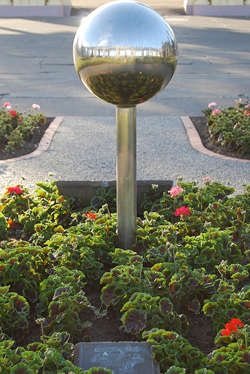 As an entity Napier City is wealthy primarily because of its asset base derived from ‘endowment’ lands. This is property that rose from the inner harbour after the 1931 earthquake. If things were fair, as summarised by the Waitangi Tribunal in their findings around the WAI 55 Claim, the land would be owned by the traditional hapu. The local Maori were dispossessed of these assets through the Hawke’s Bay Endowment Land Empowering Bill moved by Labour MP Geoff Braybooke in November 2000. 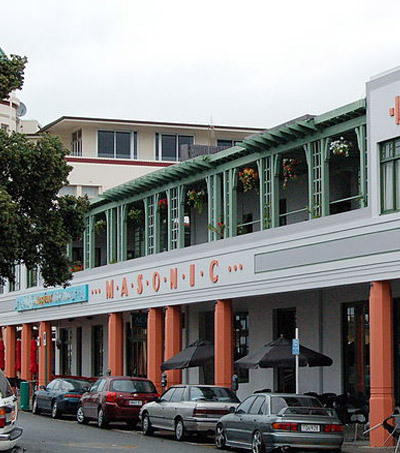 So Napier City is wealthy not for reasons of administrative competence, but rather because of the benefits arising from deep-seated settler angst over the findings of the Waitangi Tribunal and the intimation that the natives were to become landlords of a greater part of the city. 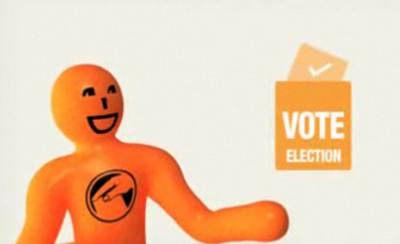 Despite enjoying the undoubted ‘good buzz’ of the country after the All Blacks’ victory, the election is on us and now the administration will be held to account by the electorate. You could well describe the current Government as being ‘unlucky’ in its term of office: the costly finance sector collapse (one billion dollars lost on South Canterbury finance alone); Pike River; the big quakes; the somewhat suspicious environmental disaster with the ‘Rena’; the failure of the gas pipeline. Plenty of poo in the brew. For me though my overriding memory of this National-led Government’s term of office has been the expedient approach it has applied to the concepts of justice (actually, the ‘rule of law’) and citizen rights as proposed in the Bill of Rights. Pragmatism has usurped justice. There was a time when Tory Ministers, like Ralph Hannan, were proud to hold the flame for the freedoms associated with human rights and to protect the essential foundations of English Law and jurisprudence such as the presumption of innocence. Using the moral panic around gangs we started to chip around the edges of the right to freedom of association with the introduction of the Whanganui ‘patch laws’. The spectre of the international criminal conspiracy has had us reverse the burden of proof to enable the State take goods and property off perceived drug lords and other criminals even where no conviction has been possible (Had they started this drive in Boardrooms we would have seen a debate!). Our apprehensions about terrorism/organised criminal groups also led the Police to forgo the normal rules that ensure a citizen’s right to privacy. Now, we have enabled retrospective legislation to make this illegal action legal. It ranks alongside the old Vietnam War policy of destroying a village to save it. This is wrong, wrong, wrong, on a giant scale. The NZ Institute’s OECD-comparative “Quality of Life Index” has us ranked us at C. Another OECD-comparative study, ‘Effectiveness of Public Investment in NZ Children‘ took 26 indicators (e.g. overcrowding, drunkenness, suicide) and concluded that we came ahead of Mexico and Turkey but behind all others surveyed. If there is an overarching human rights assessment equivalent of Moodys or Standard & Poors then we would surely suffer a lower mark in respect to our treatment of our most valuable asset, our people, than we have received fiscally. On that basis, in the spirit of Bill Maung I have been telling the street crews “Whakamana!” Get your people registered and organised to vote in the upcoming elections. If you don’t like the hand you are being dealt then do something about it. Whilst this is being treated like a ‘first past the post’ election by many commentators, methinks the minor parties may play a significant part in the final outcome. This time especially: no vote, no bleat! Thank God there’s more to our lives than party politics. I’ve mentioned before about the major project I am working towards with the building of the Waiohiki Marae Complex. I’m only one of a very broad team, each of whom are driven by slightly different but interconnected wants and needs from the project. For my part I’m sick of trying to solve ‘problems’ and I want to change focus for this next stage of my life towards developing solutions. My single minded and steadily accelerating quest is to support Ngati Paarau to step out of the shadows of pathology, which have shrouded the hapu more or less since about the end of World War 2, and into the light of their potential, expressed in terms of the people of Waiohiki and their ancestral cultural capital, and the goodwill of those of us who come to help as willing partners. 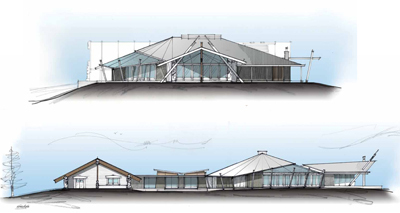 The fulcrum for this leap forward is to be a new marae complex, including a traditional meeting house, a multi-purpose events centre, and an educational facility. The overall idea is to create a 21st Century New Zealand community, founded on Maori values and tikanga, but inclusive of every and any New Zealander who wants to contribute and participate. I envisage the very notion of Waiohiki as becoming a ‘Lovemark’. As you may well discover over coming years, there’s a team of us building an absolute commitment to making this project come to reality. However without help we’re still a long way from achieving critical mass, so help we called for and help we’ve received. For a start, in light of the national financial situation we figured we would have to take the project world-wide. We recognised the consequences of the Ngati Paarau diaspora of the mid-1980’s when the meatworks and other big regional employers closed down and many of our people fled to Australia to get work. To that end back in July, Taape and her cuzzy Dorrie Paku went to Sydney and Brisbane to share the dream and to enrol project champions. And so, out to the market we went – both to potential buyers and contributors. 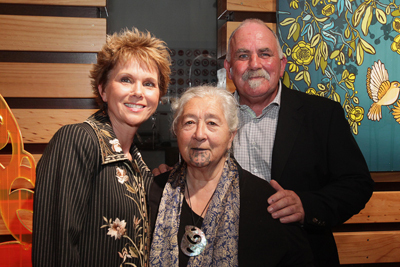 We are blessed with good friends and people who share the vision, the Sutherland family from Poraite (Jimmy the Rabbit, Jane and Bridget), Te Awanga photographer Richard Brimer, Napier artist Martin Poppelwell, Jake Scott, Para Matchitt, and the whole arts community from the Waiohiki Creative Arts Village, to name just some. Also over the last five years or so I’ve struck up a working relationship with a Napier-based creative design and marketing agency called ‘Band’. My own academic training includes marketing, and for many years I was the manager of marketing and communications for the Department of Internal Affairs. This has given me some insight into the various offerings of agencies both big and small and so when I say that Band ranks up there with the best of them I think that can be called an informed opinion. Anyway the principals of Band, Alistair (Al) Mackie and Tom Allan, generously offered to host the event at their premises in Ossian St Ahuriri, coincidently pretty much on the site of a former Ngati Paarau pa site (circa 1820). Our formula for the event has developed over five years. We look for leading edge artists who are willing to share their talent, and include lesser well known ‘emerging’ artists. We find a keynote speaker, sublime entertainment, and great food and wine. 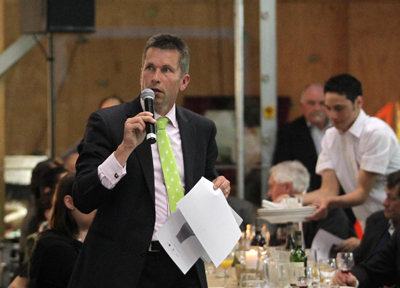 Alwyn Corban from Ngatarawa Wines has sponsored the wine since the auction’s inception. We have generally used Dish caterers, and this year the Mohi’s and related whanau from Ocean Beach contributed Maori delicacies. One of the cuzzies, jazz pianist Haril Mullany, flew across from Melbourne and joined up with the John Redman Trio. 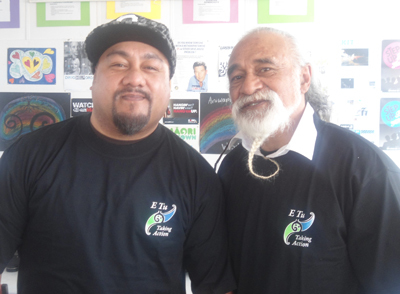 Frankie Stevens came up from Wellington and joined Wiremu Winitana in an MC performer role. Che Fu and Tigi Ness were running a workshop with youth in the Bay during the day so they offered their time and in fact brought some of the students, a group called ‘Jah Children’ with them. And so we were ready to roll. A week or so out from the event we were virtually sold out in table places, the website was more or less running, and artworks were being gathered and catalogued. We had a really tight schedule ahead of us, including for me a CAYAD conference in the Far North with three presentations due, but it was all doable. And then we ran into a perfect storm of troubles. 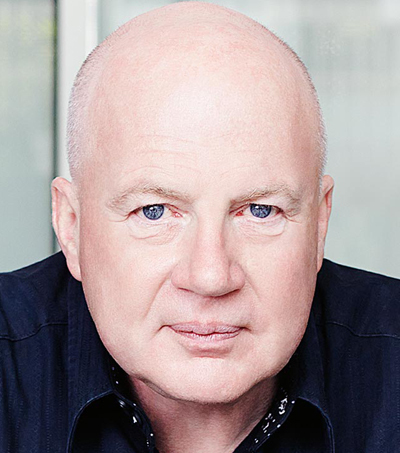 I’d already had an email from Kevin Roberts, more or less : “Denis, I’m sorry, but a business opportunity has arisen and I now can’t come to the art auction”. I wasn’t too sure if my head or my legs had been cut off. What to do? But nothing is impossible and a beautiful solution was found. Kevin and Rowena Roberts take a family approach to their community investments. Kevin uses his speaking fees to fund their sponsorships and Rowena takes a practical overview. 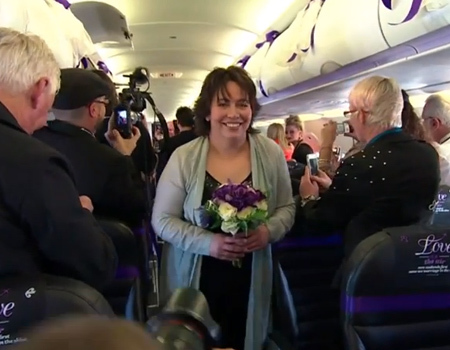 So, Kevin recorded a short but provoking speech on video for the event and Rowena agreed to fly down from Auckland to represent him. It would work. In the lead up to the event I’d gone down to Wellington to review the business plan for the Consultancy Advocacy and Research Trust when I felt a bit dizzy. I had scheduled a lunch meeting with a French academic Gregory Albisson who is currently lecturing at Victoria University and as we walked to the little Asian café around the corner I felt like I was going to faint. I put it down to just working my arse off and being a bit tired. By the time I’d got home to Napier late that night I felt exhausted. I went to the doctor next morning. They checked me for a stroke, for meningitis, and then for some possible inner ear viral condition. I was staggering around like a drunk, which, in my case, is somewhat ironic. If I tried to eat or drink I simply chundered. I felt like I was dying. Taape got all worried and clucky. Back to the doc. “Ah!” he said. “We now know what it is. This will fix you.” A needle in the bum and twenty minutes later I was fine, and although still a bit dizzy, within 24hrs was ready to take up the reins again. 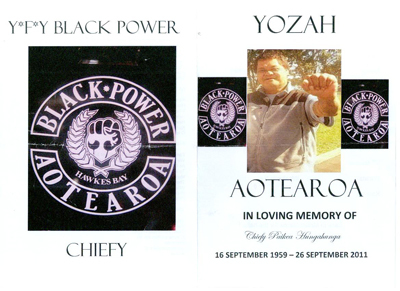 Then our mate Chiefy Hungahunga died. My role at this tangi was to support the paepae. Its not a situation where you can take phone calls and do business. I was out of play again. Then, just after the burial service had concluded my bro-in-law Tipu had a stroke. As I say, perfect storm. The old people used to tell us, when confronted by adverse circumstances say your karakia and stick to the kaupapa. And that’s exactly what we did. The gig went off like a bomb. Rowena arrived. She’s a good looking lady (a former Mary Quant model) and smart – at one stage an aide to Kofi Annan. We welcomed our guests, and kicked the show off. Rowena spoke, introduced Kevin’s recorded speech (view it below) and then lit the wick of generosity. Kevin and Rowena Roberts donated $25,000 to the cause. That set off a chain reaction of spirited giving. We sold $97,000 of art work and the project will benefit by at least $100,000 in cash and kind. 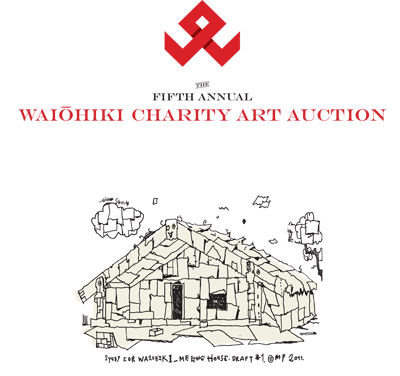 If you want to see some of the art look at www.waiohiki.co.nz. Thanks to the artists, thanks to the bidders, and thanks to those volunteers who worked so hard. As Tigi Ness Che Fu and our young musicians in ‘Jah Children’ sang: “Thank you thank you, New Zealand”. Its an early spring here in the Bay. A telling signal of my physical and mental health is the state of the garden. I’ve planted out well but there’s a lot of weeding to do. The asparagus is chunky and prolific. I have it for breakfast most mornings. My piss stinks. The flax outside our bedroom has about 20 strong looking flower spears. The tuis are in each day to check the nectar’s progress. Today there was a flight of Red Monarch butterflies hovering above the lilac bush at the front of the house. Some of them seemed to have the wingspan of small birds. For some reason I thought of the old lady Helen Mason. Since her fall she’s now living at Atawhai Home in Taradale, but at 96 she still looks great and is as sharp and salient as ever. It seemed appropriate to take her some of the lilac flowers. She said ‘bless you’.